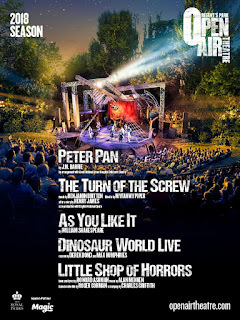 Regent's Park Open Air Theatre has just announced its 2018 season which will feature the return Peter Pan, a musical version of As You Like It and a new production of Little Shop of Horrors. The 2018 season will mark the London return of Howard Ashman and Alan Menken's musical, Little Shop of Horrors from 3rd August to 15th September. 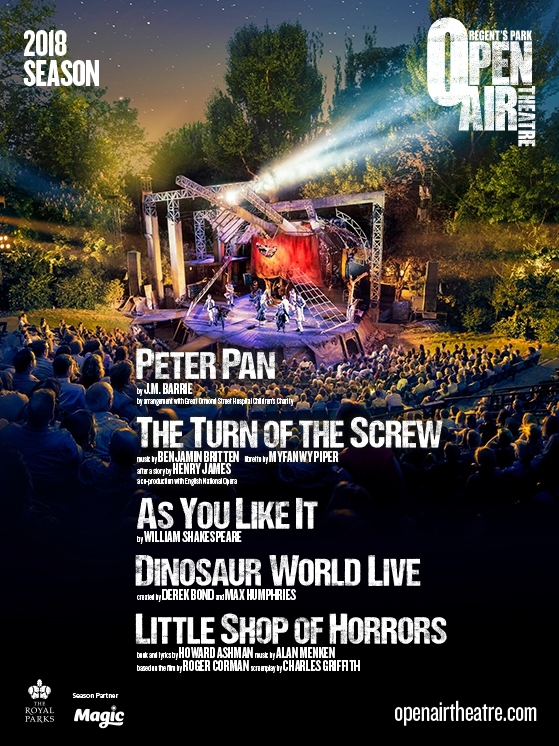 Maria Aberg (Dr Faustus, RSC, Fantastic Mr Fox) will make her Open Air Theatre directorial debut, with design by Tom Scutt, musical supervision by Tom Deering and lighting design by Howard Hudson. The film version, directed by Roger Corman, went on to receive two Academy Award nominations when it premiered in 1986. 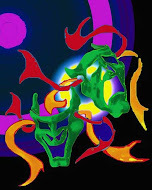 The show features classic songs including "Suddenly, Seymour", "Skid Row (Downtown)", and "Dentist!". The new season will open with JM Barrie's Peter Pan (17th May-1th5 June). Directed by Timothy Sheader and Liam Steel. The production is a revival of the 2015 Olivier Award-nominated run to mark the final year of First World War Centenary Commemorations. Max Webster will direct a reimagining of William Shakespeare's As You Like It (6th- 28th July), with original music by former Noah and the Whale frontman, Charlie Fink (The Lorax). Webster directed Twelfth Night at the same venue in 2014, where the classic was reimagined for those aged six years and over. Priority Booking for 2018 opens 11:00 am on 8th November ; Public Booking opens 11:00am on 6th December.